Featuring glycolic acid (an alpha hydroxyl acid that exfoliates the skin) this toning solution offers mild exfoliation to boost radiance and visibly restore clarity. Also enhanced with a Tasmanian pepperberry derivative to help reduce the irritation associated with acid use and ginseng and aloe vera to soothe, this is the ideal way to gently refine the texture of your skin. Offering anything but ordinary benefits, this toning solution provides exquisite exfoliation to give your skin a visible boost of radiance and clarity. Living up to its name, this gentle – yet hardworking – toner features glycolic acid (an alpha hydroxyl acid) to gently exfoliate the skin and improve its texture. 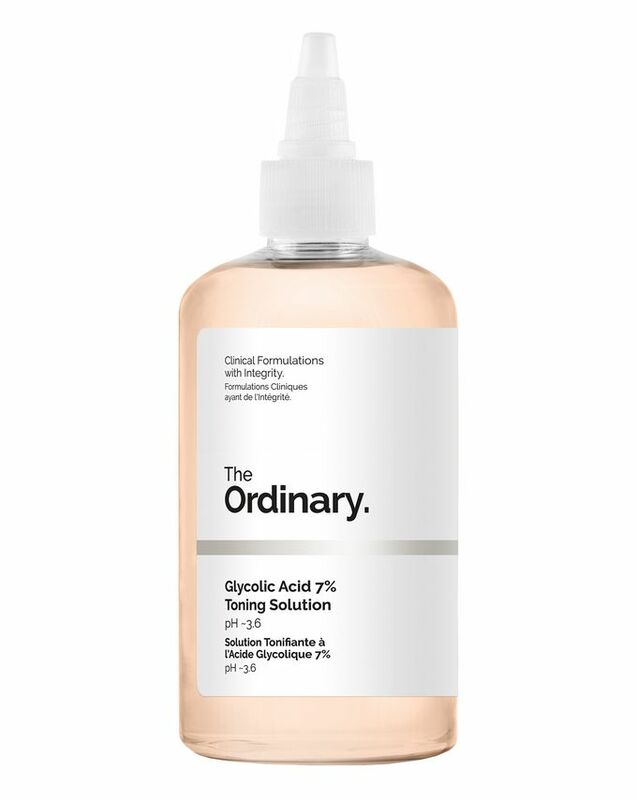 Don’t be perturbed by the irritation often associated with acid use – The Ordinary’s Glycolic Acid 7% Toning Solution also contains a Tasmanian pepperberry derivative to reduce inflammation, as well as ginseng root and aloe vera to enhance radiance and offer soothing benefits. Directions: Use ideally in the PM, no more frequently than once per day. After cleaning, saturate a cotton pad with the formula and sweep across face and neck. Avoid the eye contour and contact with eyes. Do not rinse off. Continue with additional skin treatments as needed. If persistent irritation occurs, discontinue use and consult a physician. (Sunburn Alert: This product contains an alpha hydroxy acid (AHA) that may increase your skin's sensitivity to the sun and particularly the possibility of sunburn. Use a sunscreen, wear protective clothing, and limit sun exposure while using this product and for a week afterwards. Use only as directed. Contact of the product with the skin must be of limited frequency or duration). I often get those small bumps/spots around my nose and forehead and this has worked amazingly. I notice a difference in my skin when I stop using it. It's also great for those who wear makeup as it gets rid of all the build up. The bottle is a good size and will last you a long time. I always hold off from reviewing until I've either finished the product or disowned it. But I have already reordered this twice and I couldn't be happier. I have combination skin with an oily T-zone, prone to eczema patches on the cheeks and a long time sufferer of hormonal acne breakouts but no more. This toner alongside the Salicylic acid and Niacinamide has completely changed my skin. I haven't had a single breakout since before Christmas and my Milia are reduced too. I do still get some dry sensitive patches around my nose in cold or dry weather but since my goal was to blitz the acne for good I can't complain at all. I'm not saying that these products alone have eradicated my acne, but they have for certainly contributed. Love, love, love! The only product that has made a visible difference to my skin and cleared it up. Just make sure to pay attention to the bottle and only use in the PM, use SPF and DO NOT go into the sun. It made me burn very easily when skiing, even with SPF 50+! I'm new to acids, never used one before this, but this product is something else, I did experience tingling but not irritating. Also helps with my acne. I’ve been using this product for a week now and it’s helped my skin so much. I suffer with really bad dry skin on my forehead and couldn’t find anything that would help it however this toner cleared it from the first day. It leaves your skin looking dewy and bright. Would 100000% recommend this product for dry/ sensitive skin. I love this toner! Have ordered it twice already. The effect and the application method is similar to the Liquid Gold by Alpha-H. I use this toner every other evening in winter, and approximately twice a week in summer (only at p.m.). I've used this product for a couple of months now, and I can honestly say that I have never tried a toner better than this one. It says that it should be used once a day at night time which I did the first month, so my skin could get use to the product. Now I use it twice a day, morning and night. And my skin just loves it. I bought this with the lactic acid which didn't really do anything for my skin. I've read somewhere that the lactic acid can be used as a toner as well because they both have AHA's. This is really good for people with oily/combo skin that tends to break out. Love love love it. I use this every day, morning and night and it's done wonders to my skin. It has cleared the hyperpigmentation, yet not drying it out. My acne has reduced and my pores are less visible. Great price point too. This large bottle will last me a heck of a long time too. After using this for just a week, I've noticed my skin is brighter and has helped reduce my milia. helps with complexion overall, removes excess dirt even after cleansing and makes my skin feel smooth. This toner is amazing. It has helped me with my forehead acne (the skin coloured spots that like to reflect the light), it cleared in just a few uses! And it makes my skin feel so smooth in the morning! I would definitely recommend adding this to your skin care routine. This product is part of my nighttime skincare routine, for two weeks of use, I've already noticed a significant difference. I am from Brazil, and would like to thank Cult Beauty for the service. I started using the ordinary products nearly a year ago and its THE BEST range I've used. I've suffered from hormonal acne for 15+ years and used so many prescription treatments oral and typical and also tried a long list of shop brought products. The glycolic acid helps tighten my skin overnight and seems to virtually eliminate any breakouts, leaving it soft and smooth. I do worry about the effects of acid on my skin but it works so well. I use this alongside the zinc and niacinamide formula and the aha and bha peeling solution. I’d been looking for a toner but they’re so expensive. I’d already bought from this range so added it in and now it’s a staple part of my daily routine. I have dry sensitive skin and this has been really good with it. My skin has improved so much using the ordinary products with the added bonus that they don’t cost the earth. ***English translation** Very good tonic! Perfectly exfoliates and cleanses the skin. The face is fresh and moisturized. Does not dry and does not tighten the skin, I recommend! It really reduces the dullness and patchiness. It brightens your face up and lets your skin absorb all the products you use after! There is a slight tingling that you experience, but I have had no reactions or allergies to the formulation. I have a acne prone oily skin and I live in Sri Lanka. I received the order in 7 days which was great! This product has done wonders to my skin in such a short time. I've been using it, for now, more than 2 weeks but noticed the changes within 4 days. I use it daily in the night after cleansing the skin. It faded the acne scars and cleared the skin. I also bought The Ordinary HA+B5 which I use in the AM routine and Niacinamide in the PM. Together these products have truly given me soft, clear, bright glowing skin. My acne scars are almost gone and the skin texture has improved. This bottle will last a long time but will definitely repurchase again. Great affordable price! I love this product. It does what it says on the tin, is a big bottle and so will last and at a really low cost. I was using Pixi Glow Tonic which I also love but this does the same but for half the price. Its feels a little bit stronger I use this about twice a week, whereas I could use glow tonic three/four times. I will continue to use this instead. Never used something like this before. Gives glow to my skin, without any dry feeling. Can’t use it every day, 3-4 times a week is ok.
My skin is so soft. It stings a little at first but I love this product, every few days I use a cleansing wipe then exfoliating wipe and then use this and then moisturise and my skin has never looked better. After using this product for a month plus I could see the difference in my skin texture, especially around my jaw area. I had small spots and they have more or less gone. I recommend this so much and for the price it's amazing. I was skeptical when I first tried it, but it works. It exfoliates my skin gently and overtime I realised that my skin is clear from acne scars. I have been using this every single night since. Must have! I liked it, it burns a little when applied, my skin is dry. After first use you can see the difference, skin looks smoother and healthier. Unfortunately, this toner did not live up to expectation for me at all. It’s quite a sticky feeling on my normal-to-combination skin and stings while you’re putting it on, so definitely no good for sensitive skin. For the price point, it seems like you can’t go wrong, but I definitely don’t feel myself reaching for it and wouldn’t repurchase if I ever got to the point of running out. Also, the nozzle tip that’s provided is leaky and quite a hassle at times so I would recommend just leaving the screw cap on as the lid! My skin really loves it. Waking up with even soft skin, since using it. Still trying to get rid of the milia under my eye but it has definitely already improved. I have had problematic skin for years now and have tried various skin regimes/products. This toner has been by far the best toner I have used, and I can really tell the difference in my skin since using it. Would 10/10 recommend, the price point is also a steal too! Have been waiting for this to come into stock for ages and definitely feel its made a difference and made my skin brighter plus its amazing for the price compared to similar products! My skin was flaky. I am all healed but have hyperpigmentation and flaky skin. I bought this hoping that it will solve all my remaining problems. Unfortunately, it made my skin have some white pustules but not really pimples. It's like white little puss inside the skin but they are not bumpy. The only thing that I like is, it made my skin smooth. It's really good I applied now around 2 days and there is a clear difference in my skin. Its a great night time treatment. The toner is really good, even when I wash off my make up and think there isn't any make up left on my face and I use this toner so much more make up comes off. Sometimes it stings here and there, however I like to feel like it is working on my skin. I Haven't seen a huge difference in my face but the price is amazing for the amount of product. My face does feel fresh and clean afterwards. Skin type : Normal- prone to dehydration & nose blackheads. Bought this on a whim because of an offer on The Ordinary products. Good for daily acid exfoliation and not drying on skin at all. I have not experienced any stinging, or redness of any sorts. Would repurchase, as it is great value for money. I ordered it as a replacement product for Pixi Glow Tonic. I think they are very similar. It just works. My skin relief became even, and skin looks more radiant in general. Would recommend. Apart from the fact it smells like pond water, it is as effective as similar more expensive products I have used in the past. I will continue to use this product. But, I'd still choose Pixi Glow Tonic over this! It's stronger & cheaper than Pixi but, it still somehow doesn't bring that glow & fades acne scars as quick as Pixi. So I use this for underarm detox. Helps with the odour & little hyperpigmentation. After a few weeks, the texture of my skin is so smooth. I started struggling with adult-onset acne the moment I turned 30. I have tried a lot of products prior to this, and while those products did help in keeping inflammation down and speeding up the healing process of my acne, none have been as instrumental in bringing my pre-acne skin condition back as this toner. The bumps and the pimples have become nothing more than a once-a-month occurrence, and I can't even begin to describe the glow I get from using this. A very effective acid toner, quite strong with a simple formulation. I don't use this every day and I do use other acids from The Ordinary as well. I would recommend this toner, but also say be careful not to over-use and irritate your skin. It was my first acid toner and it never burned my face. After a month of use, my face has become more even toned. It gently exfoliate the skin and is one of my holy grail products. This is the best glycolic toner I have ever used. I use this every night along with the ordinary serums. My acne scars started to fade within the first week. I waited few weeks to write my review so I could test this toner properly! I'm 32 now, never suffered from acne nor in my teen-age, and a few months ago lots of painful pimple appeared on my lower cheek bone, jaw line and around my mouth. I tried different ones before deciding to buy this. I sensed immediate relief. Already after the first application, and In 4 weeks now my skin is restoring it's normal glow and no more painful pimples on my face! Scars still there of course, but I'm trusting they'll be gone soon! I never suffered from acne or any blemish in my life, nor even when I was a teenager! But a few months ago (I'm 32 now, olive mixed skin) some pimples on my cheekbones and jawline appeared. So I started removing products from my skincare and trying acne remedies... but nothing changed up to when I started using this toner! In one week usage only, those painful pimples started to visibly heal. It tingles a little when you apply it, but only for a few seconds. Really a good product! Recommend to anyone. Your skin will thank you! I've read lots of good thing about the Pixi Glow Tonic but I decided to try out this instead - way better price. And I was super impressed. Just after few days, the texture of my skin was almost gone and soon after my pores reduced. It made putting on makeup dreamy! I guess my skin is not super sensitive to glycolic acid, as I experienced only slight tingling sensations when I had some breakouts, but it went away in seconds. Works nicely. Skin is smoother in the morning and getting clearer. I think this is definitely giving my serums a boost at night time! Love that it is so cheap. I've had pigmentation on the sides of my neck for over a decade, it looked dirty & made me feel self-conscious. I'm in my late 40's so doesn't help with the aging look. I have to admit, I wasn't really convinced that it would do wonders on my skin but it is pretty cheap, so I decided to give it a go before trying some more expensive ones like Pixi. My skin has never been so soft! I have way less texture on my skin (and I really did have some issues with that) and almost no dry patches. I'm definitely gonna buy a second bottle when my first run out. I absolutely love this product. I've just bought a second one and bought one for my mum too. Leaves my skin glowing. Really pleased with results. (I'm 50 this year) I've also used Pixi Glow tonic which didn't seem to do anything for me. This is my second bottle and I will be repurchasing for as long as it's sold! Great daily exfoliator, leaves my skin feeling smooth and clean, and helps improve my complexion. Game changer. Just is a few weeks my acne scars faded so much. Works better for me than the Alpha H one. My complexion is glowing. It makes my skin glows in the morning. It gives me the dewy look when I wake up. Definitely cleared my skin. The initial stinging sensation is normal for those who are new to acids, it will gradually go away after the 3rd application or so. I'd say give it a try. This is a weaker acid than say a peel, so don't expect life changing results overnight. However, after a week or so of use, the texture of my skin feels significantly better and it definitely looks brighter. I didn't feel any tingling even though I am relatively new to acids, although I don't have particularly sensitive skin so using it nightly has done no harm. For the price, ease of use and difference it can make, I'd say it's a no-brainer to add into your routine. When I used it for the first time my skin broke out the next day. I thought that was a reaction to the product, but turned out the reason was mixing the toning with the ordinary's Niacinamide 10% + Zinc 1%. It's better to wait at least 20-30 minutes and then use another routine. So if your skin also got irritated, just try it alone one more time, the product is totally worth a shot. I've been loyal to Pixi Glow for the last 5 years, and I read somewhere that this was "Pixi Glow leveled up".. It really isn't! It burns every single time I apply it, it's given me acid burn on my face, and it does nothing but irritate my skin. I wanted to love this SO MUCH but I just can't. Going back to my beloved Pixi Glow. It might be a great product but I think my skin just doesn't react with glycolic acid. Didn't noticed any difference in my skin. I really enjoy this acid toner. In junction with their lactic acid, it exfoliates very well. And the price can’t be beat. But for people with skin sensitivity to glycolic acid or first time users of acid should be careful. I have used a variety of acids everyday for more than a year, but I found that I had to cut down to every other day with this one. That 7% to the 5% of the Pixi Glow tonic really makes a difference. It does also make it pretty cost effective. All in all a great product if used moderation. Can't describe how it made my skin look, flawless and bright . This is a lovely chemical exfoliant I would definitely repurchase. I always wake up with brighter more even skin the next morning. However, if you aren't experienced with chemical exfoliants, I don't recommend starting with this, start with something at a lower concentration (this is 7% glycolic acid). My oily skin started to get better after I tried this for a month. Unfortunately, this didn't work for me. Unlike some of the comments already listed, it is not a dupe for liquid gold. This burns my skin, and I irritated it galore. After using 10 days my skin looks brighter. My blemishes getting lighter every day. Love this toner, I am 55 years old and my skin has never been this good. So glad I found Cult Beauty. I started using this when I was also trailing loads of other products and didn't see a big difference. But I stopped using it for a bit and went back to it a couple weeks ago and it's amazing. I used to have so many under the skin bumps on my forehead and there's hardly any now. This is my holy grail for my skin. It's a large bottle which is great but I will have to decant it to use when I travel. Not complaining though it's amazing! Great product for the price, I was buying pixi glow tonic previously but this is better in my opinion. Now on my second bottle. This product is awesome! Absolutely holy grail in my cleaning routine. As a newbie to The Ordinary, I decided to try their products after reading an article. This is a very nice toner and at a very reasonable price: lifts off the dirt and leaves the skin soft and clean. I get a lot of breakouts and I find this toner helps to clean my skin not only on the surface but really cleans the pores. In conjunction with the zinc and niacinamide formula, my skin has really started to improve, so yes, I am a convert! I’ve been using this toner for around a month now along with Buffet and Niacinamide 10% + Zinc 1%. Since issuing these my skin is glowing! My pores are visibly reduced and I can finally achieve the glass skin look. I highly recommend these, I can’t believe the difference to my skin since using them and will never be without them again!! I won't repurchase for sure,because I wanna try the better, safer alternative from NIOD the Non acid precursor.I use it once a week and it's ok,but a bit too strong for me. Over exfoliating isn't good at all, so I prefer the Lactic acid which is milder. After I finish both I will buy the one from Niod. I also have the mandelic one, but I didn't open it yet. This very good, would recommend, easy to use, resulted in brighter skin, gentle exfoliation and all done in one swipe, excellent. The Ordinary; great products at affordable prices, will buy more TO products. Это моя мега находка! Нежно отшелушивает кожу, не сушит,поры не забивает! Рекомендую! **************** This is my mega find! Gently exfoliates the skin, does not dry, does not clog my pores! Recommend! Good acid toner, but I didn't see major changes... I had better results with 10% Lactic + HA. Great toning solution! I am using a second bottle and I will purchase again. I think it's great, does everything you want it to do. The smell isn't amazing nor disgusting but when it works wonders you don't really care what it smells like. I will buy it again 100%. Thanks to all the other reviews I gave it a go and so pleased I did! I love this! Will purchase again! It is very good and the skin looks much better. I'm really enjoying this product. I have problem combo skin with lots of blemishes. Though my skin hasn't cleared up completely, it's noticeably better after 3 weeks using this product. It even helped clear up my partner's beard folliculitis after 2 uses! Great product. Will definitely buy again. I have very sensitive eczema prone skin but I can use this without issue. I use it at night leaving on for a couple of minutes, then spritz with a hydrating toner. My skin is very dry/menopausal so gentle exfoliating is essential. I also love the lactic acid serum but (depending on what else I am using), this is very convenient. Obviously I patch tested this first as I do with everything but acid toning is recommended by many beauty "gurus". Most contain a lot of alcohol but this doesn't and I never use alcohol laden products on my skin. It's worth a try as it's very affordable. I have tried several of The Ordinary products and have seen a marked improvement to my skin with reduction in fine lines and blackheads/open pores have almost disappeared. My skin is definitely brighter after using this toner which I use to replace the Pixi one which I also love. This is the first toner I actually stuck to. Others have left my face feeling sticky/less clean. This one however really does the trick and in my case, my complexion has gotten A LOT better. It’s clearer and the colour is evener. For the price, it definitely can’t be beaten! I previously used Pixi which I also love but decided to give this a go. Not disappointed and I think this is cheaper. Will definitely buy again. Tonic is so good. I use in the evening everyday. I feel my skin clearly and smoothly. I love it. Wow ! this stuff is amazing & epic value for money , I have tried 3 other acid toners & they are all excellent , but this is superb & the price is even better. I have sensitive skin prone to Rosacea & even though this is a 7% glycolic acid toner I am comfortably able to use it twice a day without any discomfort whatsoever. My skin has never looked better, please never stop selling this! I have normal skin, prone to oil in the t-zone by the end of the day. The product suited me perfectly! I use it in the evening as the final step for cleansing my skin, exfoliates excellently and smoothes the skin! Cleared up my skin without drying out. This product is amazing. The combination of these has transformed my 47-year-old lacklustre skin which had pigmentation issues, lines and some slightly enlarged pores around my nose. It appears to be similar to other products but a fraction of the cost. As I mentioned in another product review, these products have done more than a very expensive dermatological facial and is a fraction of the cost of the high-grade products I was recommended. I will keep using now for sure. My skin moisturizer sinks in faster goes further too. Just amazing. Immediately cleared up any pimples without drying out my face. Fantastic products and fantastic prices. My skin looks better at 49 than it did 10 years ago thanks to discovering the various The Ordinary products. It lights up my acne discolourations. This toner also protects my skin against recurrence of acne. I always get small annoying pimples on my chest during summer and this year I'm finally free from them thanks to this toner. A few swipes with a cotton pad with some of this product on it for a couple of weeks and my pimples were gone! I also use it on my oily acne prone face with Azelaic acid and my skin looks very healthy and smooth, I can definitely see less clogged pores. Would definitely recommend, especially as a prevention measure. Of all the products I have had to add to my routine due to my adult-onset acne, this has made the most visible and life-altering positive change to my skin. 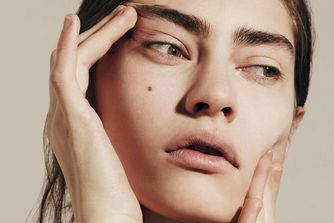 I was one of the lucky ones who had baby-like skin in my teenage years, and this heaven-sent of a toner has brought my skin back to its once youthful glow. I also use this as my deodorant, and it hasn't failed me in that aspect as well. A bottle lasts well beyond 6 months despite daily use on my face and pits. I hope you restock soon. Love all The Ordinary products, good value, high-end ingredients and they work! Love the toner, doesn't irritate my skin at all and leaves fresh, bright and exfoliated. I used half of the bottle and I still don’t know what exactly this toner does to my skin. It didn't harm it, which is good, but I didn’t see a dramatic difference everyone is talking about. I can’t think of any reason for not buying this. It’s the cheapest glycolic acid I’ve ever tried and it works as well as any other. Large bottle, good packaging and wonderful for my skin. Good product but need more time to finalise the review. Great toner, great price! Makes my skin look glowy. I’ve had problems with an uneven skin tone and marking on my skin for a couple of years now, but combined with a few other products from this website this product worked a treat. After the second day of using my skin was a lot smoother and healthier. I never usually write reviews but I feel this deserves it, as it works very well considering the battle I’ve previously had with a bad complexion. I swapped over to this after finishing a mini bottle of the pixi glow tonic which worked great on my skin, but it was just a bit too pricey to re-buy, and this product also happened to have pretty good reviews. I have oily/combo skin and the only thing that this has helped me with is getting rid of some acne scars, but other than that I have broken out in tiny bumps all over my forehead and cheeks and my skin is pretty dry. I probably wouldn’t recommend this product and if anyone is interested, it smells quite a bit like sewage. 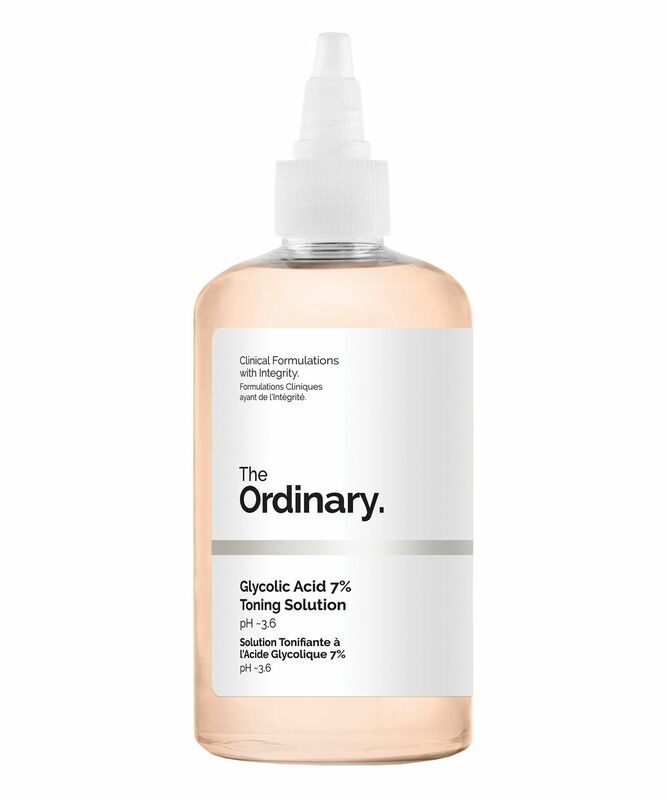 I really enjoy glycolic acid and this toner was well worth waiting for. Its a good price for great results. I find my skin has a better texture and is smoother. There is zero burning or irritation on the application just the mildest tingling which is good. I will continue to re-purchase. Truly. I'm using it every night now and my skin is happy! So so so happy with this product, especially considering how affordable it is. Had itchy, dry skin when I first used it but after persistence, it has completely rejuvenated my face. Have had trouble for years and never found anything that has made any difference, but this has got rid of small stubborn spots and continues to improve the texture, scars and clarity after 2 months of use. I used it a couple days a week, to begin with, but now use it every night and am blown away each morning by how my skin looks. The bottle is large and so will last for a long time too! Like glow tonic, but cheaper! Love love love this!! Been using it for 4 days now, after my pm cleanses before my 0.2 retinoids and it's lovely. Doesn't sting, leave skin red or inflamed. Has cleared up some small random bumps under my chin that weren't visible but I could feel coming up. Doesn't smell strong and easy to use with the dispensing lid it comes with. Takes a min to soak into the cotton pad but I will definitely be repurchasing this as long as they keep producing it. All I can say I thank you Deciem for making an amazing inexpensive exfoliating toner that does just what it promises!! The glycolic acid toning solution is just brilliant - lifts superficial oils that accumulate over the day without ever drying my skin out despite normally being prone to do so. Feels especially lovely if you layer hyaluronic acid or "buffet" solution on top soon after. Lastly - fantastic pricing. 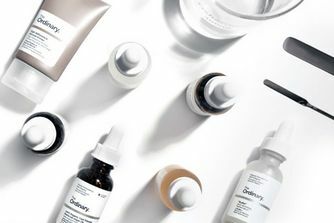 Thank you DECIEM for bringing affordable researched skincare to the mass market. I’ll never need to spend triple the price on Estée Lauder or Clinique again. I love this product so much, it’s more gentle than I expected it to be and the size is huge and the price is great. I just hope The Ordinary continue to provide good quality products at low prices because of you increase the price I’ll go looking for the next up and coming brand to swap too! It's okay, it does the job and is a good budget toner but it just doesn't leave my skin looking brighter and smoother like the Pixi Glow Tonic does. It's a cheaper and better version of the Pixi glow tonic, love this brand so much. This has transformed my skin. Texture has improved and hyperpigmentation from past acne has diminished almost completely. It does need to be slowly introduced into your routine because it tingles/stings initially and will likely cause temporary redness. I find the Glycolic Acid 7% strong, but my skin tolerates it and I've never had any problems with sensitivity after using this. I would re-purchase. Shall I just say pixi glow tonic? It’s so good. It is definitely stronger and less plumping than it’s very famous counterpart which it is clearly not based on one bit. I reach for it more often than the Other toner and it works very hard, but can aggravate any sore skin (for example, a spot that’s had a flannel cleanse or a sore nose that’s been rubbed too much during a cold). It definitely needs lots of hydration over the top. Every time I use the Other toner I remember how much I like it in contrast, but I still use this one more often. I am a regular user of acids but this has resulted in every product applied after it burning like crazy as well as red skin going on for days after I stopped using it. I am able to use it on my body without any problems but I would not put it on my face again I first thought the reaction came because of a combination of products but I have isolated the products use when I first used it and it is the only thing I have a reaction to.